Meet Vinod Madhukar Dole, a class seven student of an Ashram school in Maharashtra (Gargaon Ashram School) who has been studying here since class 1. Both his siblings, an elder brother and younger sister are studying in the same school. These three kids, originally from a village 15 kms away, are residents at this school. They only get to meet their parents during Diwali, Ganpati or other festivals. Their parents have very little formal education; mother is a class 8 graduate and father, a 5th standard pass out. They don’t own land because of which both parents are labourers working on farms owned by other people. Every month is a struggle to make ends meet and put food on the table. On days when they cannot find any labour work, Vinod’s parents are forced to stay home. Even though these children hardly have access to newspapers, story books and other reading materials, they really enjoy coming to school. 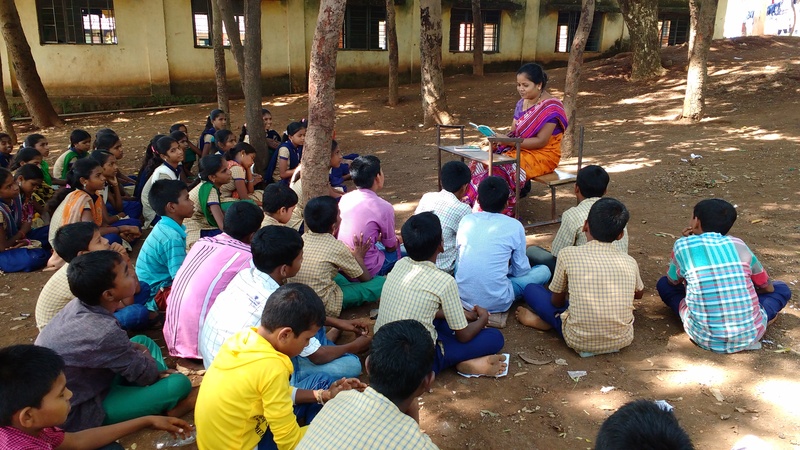 Always the first to be in the classroom during special Saksham classes, a literacy remediation programme run by QUEST for children in grades 4-7, Vinod quietly goes and sits in the last row in the class. He is a quiet student and does not speak unless addressed directly. Saksham programme was started at Gargaon Ashram School towards the end of August 2015. Before the programme started, QUEST conducted a pre-test for all students studying in grades 4 to 7. Typically, results of this test are used to classify students into 3 groups A, B and C, with C being a group of the brightest students in the class. Vinod scored 22.67% in the baseline test and hence was in A group. He took little time in becoming familiar with accent notation and could recognise all letters. Although he struggled when reading and writing ‘र’ related notations and words related to अ‍ॅ,ऑ,ऋ. He also had immense trouble in writing. Even though he could identify all letters, he would make mistakes while writing words with accent notations. When checking dictation assignments, teachers would ask him to read out the passage he had written. Vinod was then able to recognise the errors in his own writing. Gradually, over time, he has now become familiar with the teachers; and interacts with them freely. With regular dictation, the number of errors committed by Vinod has dropped drastically. Vinod has gained some confidence about his reading and writing skills and now insists that teachers check his note book first. He has started visiting the library and is often found sitting in a corner engrossed in a story book. 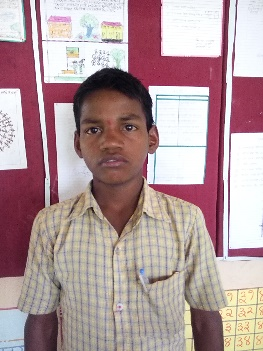 Saksham programme was run at this school for 6 months and during these 60 days, Vinod finished reading almost 3 books. At the end of January, during the end line test, he scored 53.33 marks. He showed the maximum improvements and crossed both B1 and B2 groups and has now finally moved to the C group. All three groups; A, B, & C are divided into two sub-groups. Students from both sub-groups sit in the same classroom. This decision is taken based on the students to teacher ratio. As the students in this group have two different levels, slightly weaker students are in 1 sub-group and the slightly better ones are in 2 sub-group. As both sub-groups are accommodated in the same classrooms, the teachers have to teach same content at different levels. The students in A group have problems with alphabet recognition and hence struggle with both reading and writing. Students in B group face problems in identifying “jod-akshar” (joined letters) and in writing by themselves. Some students also have problem with accent notations and reading. When given a task to write their experience about something, there is no chronological order in the narration. Students in C group don’t have problems in reading or identifying “jod-akshar” but struggle with notations related to the letter “र”. They also encounter problems during writing. The students have significant issues in handling different types and styles of writing. However, these students are much more likely to progress faster than other groups. 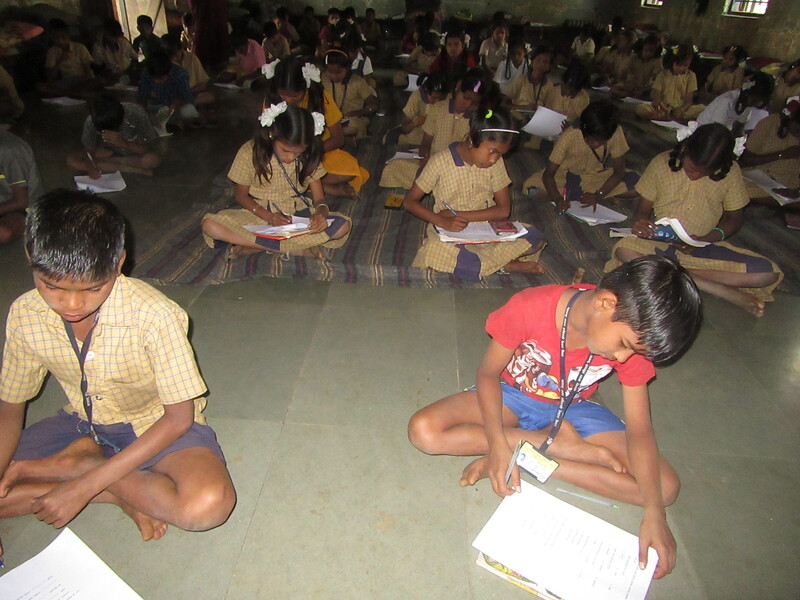 For more details on the Saksham program and its impact on reading skills, check here.